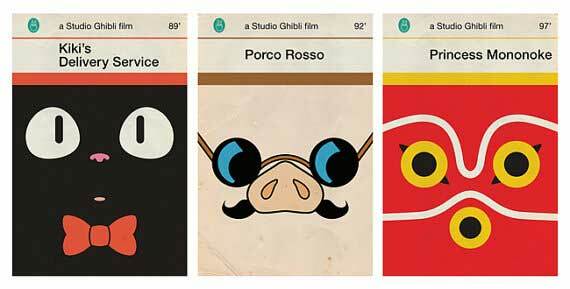 A set of nine 4×6″ postcards based off 9 Studio Ghibli films. It’s not all of the Ghibli films, just the ones Miyazaki directed and yes technically “Nausicaä of the Valley of the Wind” wasn’t a Studio Ghibli film when released but it has been re-released in the US on dvd as one so I included it. These prints are based off the retro Penguin book cover style.